It's easy to order beef. We deliver to the Big Horn Basin, Sheridan, and Gillette areas. If you are not in this area, send us a message to see if we can deliver to you. We currently sell beef by the whole, half, and quarter beef. If you don't think you need that much, try our Big Trails Bundle for a sampling of different cuts and burger. If you haven't ever bought beef in large portions, it can be intimidating. However, it's any easy process that allows you to receive a large variety of cuts, the way you like them, at a price that is less than the grocery store. The main consideration is to make sure that you have enough freezer space to store the beef. Please allow 1 cubic foot of freezer space for every 35-40 lbs of packaged meat. This price includes processing and delivery. We estimate that a Big Trails bundle will contain about 52 lbs., a quarter - 156 lbs., a half - 312.5 lbs., and a whole - 625 lbs. of hanging weight. Most companies sell beef by the pound. We do it differently for a very simple reason. If we estimate that a whole beef will cost you $3100, but the steer gains better than we expected or yields better than we expected, you are responsible for paying more. Ordering beef by the whole, half, quarter, or even bundle is a large investment and variable pricing can end up costing you a lot of extra money. We set conservative estimates for how much meat we expect so the customer usually gets more than they paid for. If you would like to order from us, but prefer pricing by the pound, simply contact us. 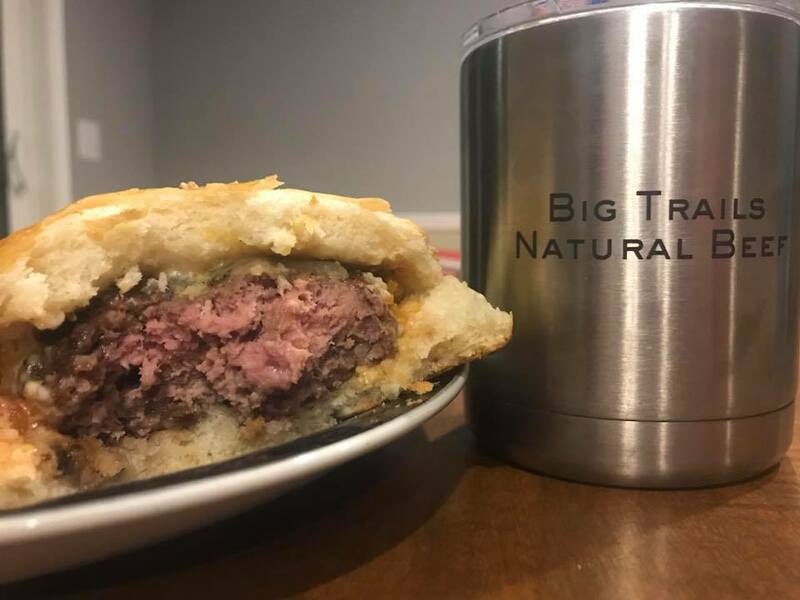 Big Trails Beef is not available throughout the year. We strive for an even, quality product, but this means that it is not something we provide all year round. There are times of the year when the grass is better so the feed is better for the animals to grow. Also, the animals are about the same age and grow together, making them ready to be processed about the same time. We process our cattle after they have been grazing the green grass from the autumn rainfall. This is the timing that we have found works the best for us, but does restrict availability to the fall/winter. Just Contact Us and let us know how much you would like. Or if you have any questions, feel free to ask!